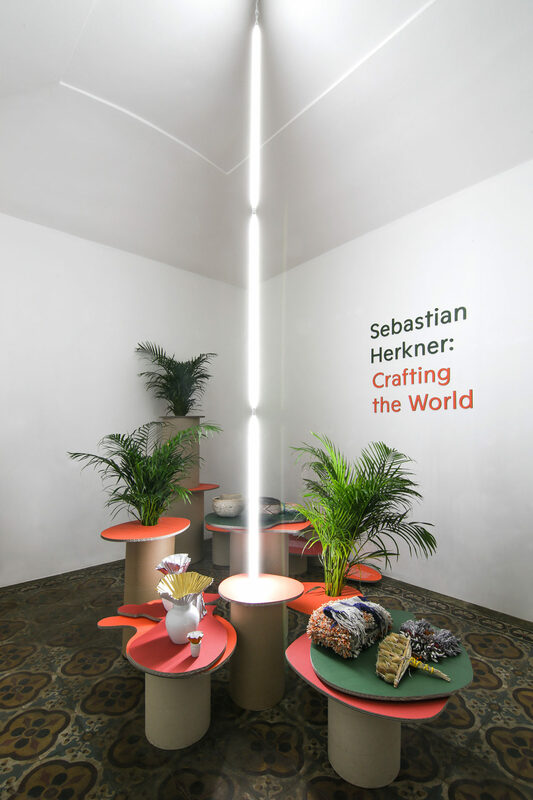 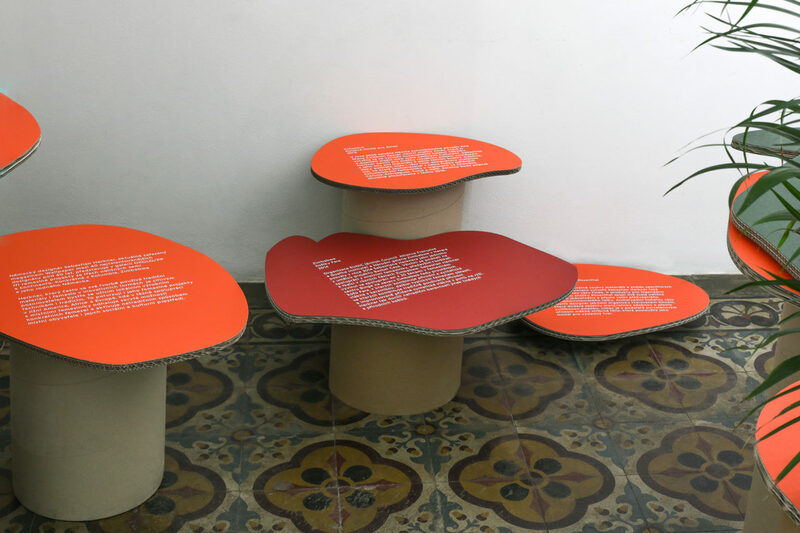 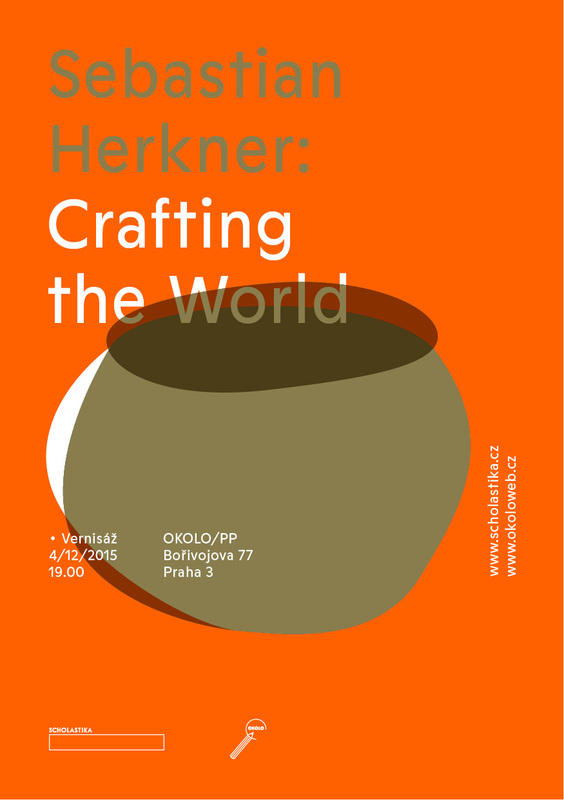 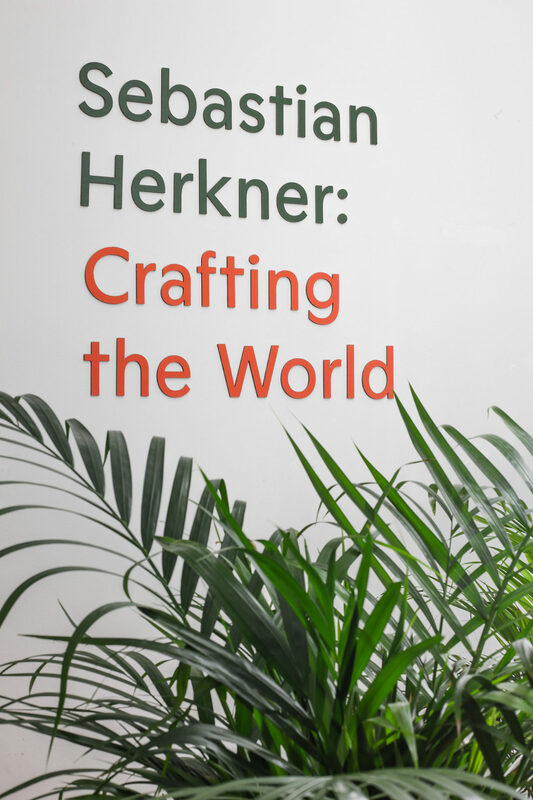 German designer Sebastian Herkner shows three of his projects he did in Colombia, Germany and Zimbabwe in OKOLO Studio gallery. 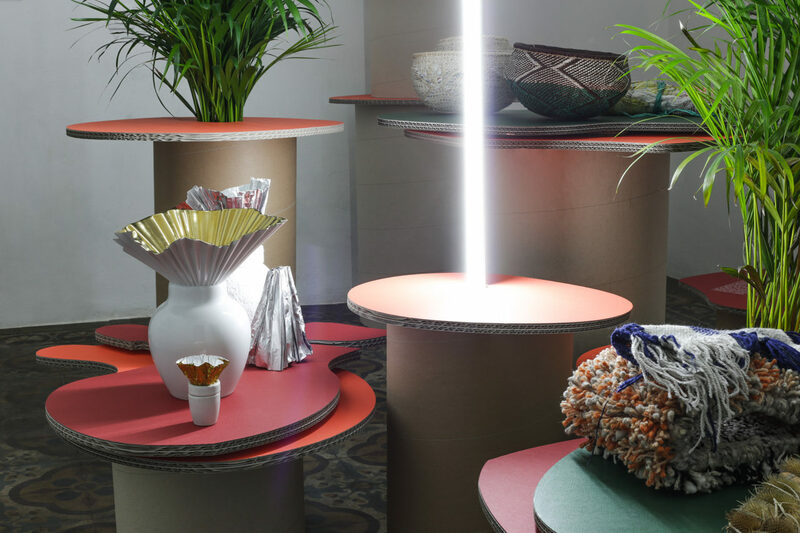 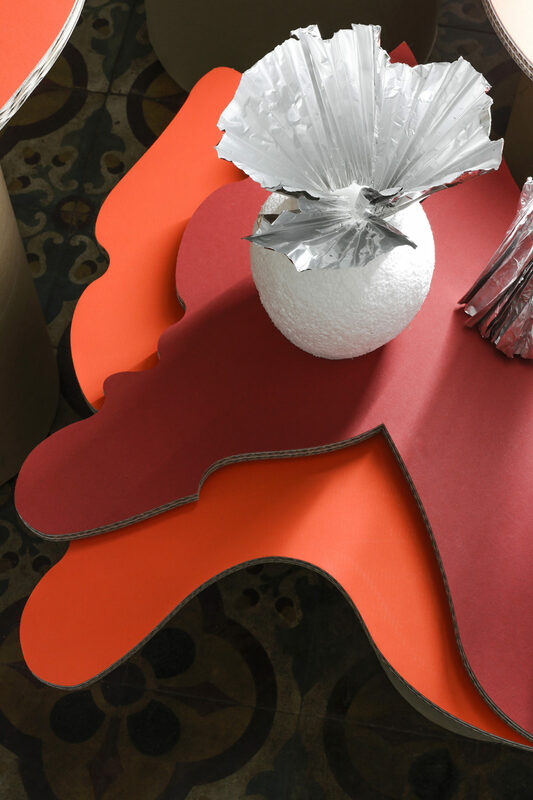 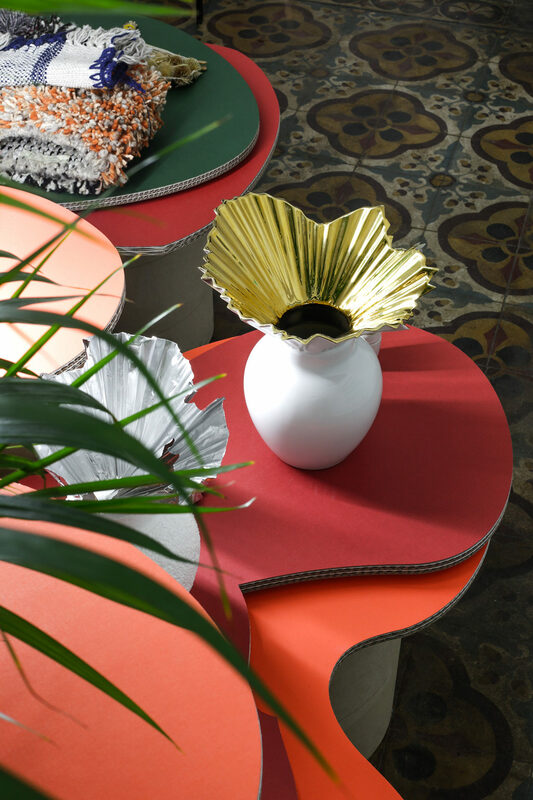 The organic installation, inspired by tropical atmosphere and vegetation, presents baskets from Zimbabwe, home collection of Ames made in Colombia and Falda vase for Rosenthal. 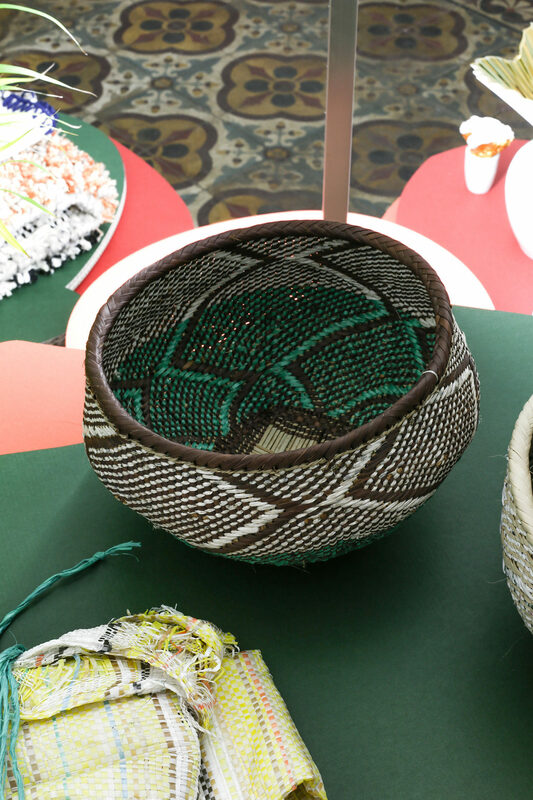 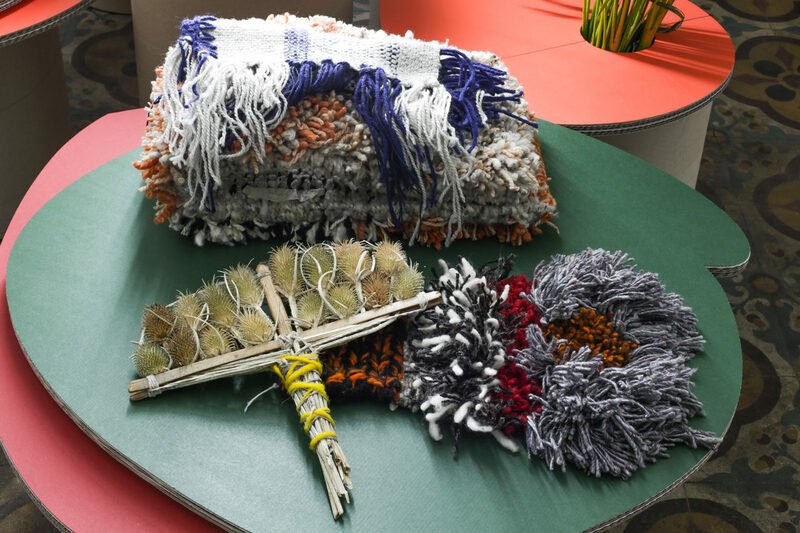 The exhibition surveys different approaches to local crafts and traditions. 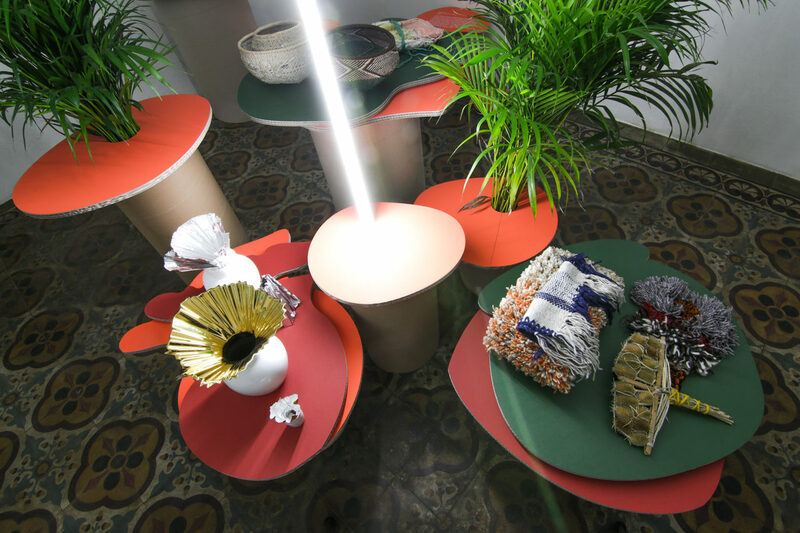 All exhibits are displayed in organic setting, made of paper tables, surrounded by plants and tube lights.